America has been preventing tooth decay with fluoridated water for 70 years. Community water fluoridation is safe, effective and benefits everyone equitably. 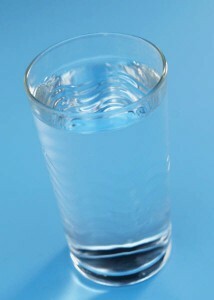 About 75% of U.S. communities enjoy fluoridated water. Between the 1940s and the 1990s, the average IQ scores of Americans improved 15 points. This took place at the same time that fluoridation expanded to serve millions more Americans. New research from New Zealand finds that the IQ scores of children living in fluoridated communities were no different than children living in communities without fluoride in the water. Beginning in 2012 with a research review in the journal Environmental Health Perspectives, claims began to appear that lower IQ scores in children were “caused” by fluoride. There are many reasons why the evidence does not support these claims. This research did not test cause and effect. The authors examined a wide variety of studies from different countries (China, Mongolia and Iran) and different times (over 22 years) and reported what was observed. They did not conduct tests designed to examine a relationship between fluoride and IQ. The authors warn that the studies they reviewed “had deficiencies, in some cases rather serious, which limit the conclusions that can be drawn.” They conclude that further research would be needed to rule out other factors that can affect test scores, such as nutrition, the quality of schools, or the presence of contaminants such as lead. The studies do not describe the water that American children drink. The fluoride in these countries was in some cases more than 10 times higher than the optimal level used in the United States. In 2014, one of the same authors again published a research review in the British journal The Lancet Neurology. This article included fluoride among a list of potentially harmful chemicals. Again claims resulted from this review that are not supported by the evidence. The article’s information on fluoride came from just one study, the 2012 research review described above, which did not prove a cause and effect relationship between fluoride and the brain. To be considered scientifically valid, such proof must come from careful testing of results that have been confirmed many times. This study does not provide evidence to suggest fluoride as a possible neurotoxin. More than 3,000 studies and research papers have been produced on fluoridation, and the overwhelming evidence shows its safety and effectiveness as a public health practice. Community water fluoridation has been, and continues to be thoroughly evaluated to ensure the health of those who benefit from it.